Durable laminate construction stands the test of time. Scratch- and stain-resistant surfaces. 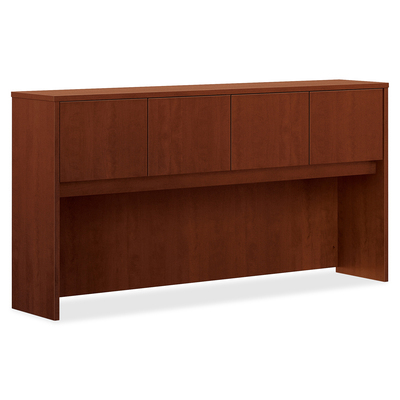 Reduce desktop clutter by storing books, binders and supplies in this space-efficient hutch. Durable laminate construction with scratch- and stain-resistant surfaces for long-lasting good looks.